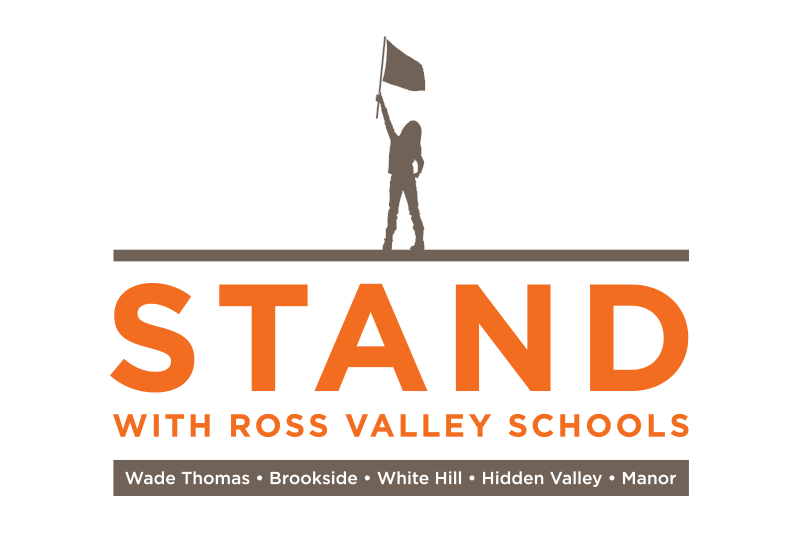 Thank you for considering a contribution in support of our grassroots organization, STAND with Ross Valley Schools. We are fortunate to have an amazing group of schools, with dedicated teachers and highly engaged and involved parents. Our community is facing nothing less than an assault on our public schools. While we are actively working every day to educate the community and ensure that our voices are heard at the local and state levels we need your help to make our effort go even further. You can help us reclaim crucial resources within our District by lending your support to our effort to protect our district schools. No amount is too small. STAND will use the funds we raise for our outreach campaign to shine a light on the attempts to privatize and chip away at our innovative public District Schools. Funds will primarily be used to create and print flyers, signage, window decals, T-shirts and other items, such as educational community events like last year's screening of Backpack Full of Cash. All funds will be spent to fulfill our mission, and every expense will be carefully considered. We promise to be good stewards of your donation dollars. Please consider assisting us with our critical operational, marketing, and event costs, and stay tuned for updates.